Margaret Fosdal — Kamp & Boer, P.C. 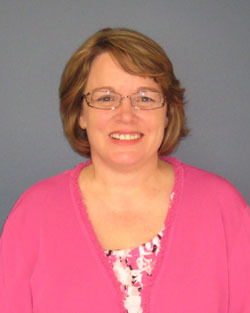 Margaret, as our part-time Administrative Assistant, plays an important role on our team. Some of her responsibilities include record keeping, copying and filing. During tax season since 2004, Margaret has also likely been the voice that you heard when you called our office. Margaret has a BA in Human Development from St. Mary’s College of Maryland. She was an elementary school teacher for several years. She recently served as Treasurer on the Lansing Christian School Parents’ Club Board.